That pretty much sums up the problem. Large and even small nations, even terrorist groups or lone wolves may soon have the ability to use ‘smart’, autonomous, AI-driven tech in warfare. To be honest, it doesn’t have to be that smart. A mobile device, a drone and explosives are all that one needs to deliver a lethal device from a distance. You may even have left the country when it takes off and delivers its deadly payload. Here’s the rub – sharing may be the last thing we want to do. The problem with sharing, is that anyone can benefit. As soom as machines have the power to decide wholives or dies, we are in uncharted moral territory. In truth, AI has long been part of the war game. Turing, the father of AI, used it to crack German codes, and thankfully contributed to ending the second World War and let’s not imagine that it has been dormant for the last half a century. The landmine, essentially, a dormant robot that acts autonomously, has been in use since the 17th century. One way to imagine the future is to extend the concept of the landmine. What we now face are smart, active, autonomous landmines, armed with deadly force on land, sea, air, space and cyberspace. AI exists in all war zones, on all fronts – land, sea, air (space) and cyberspace. Robot soldiers are with us. You can watch Boston Analytics videos on YouTube and see machines that match humans in some, not all, aspects of carrying, shooting and fighting. The era of the AI-driven robot soldier is here. We have to be careful here, as the cognitive side of soldiering is very far from being achieved. That is one of the problems, as dumb, cognitively stupid robot soldiers bring their own problems. 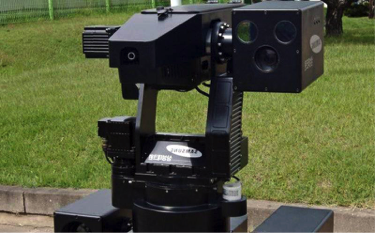 In the DMZ between South and North Korea, robot guards are armed and will shoot on sight. Known as a Lethal Autonomous Weapons System (LAWS) it will shoot on sight, and by sight we mean infrared detection and laser identification and tracking of a target. It has an AI-driven voice recognition system, asks for identification, and can shoot autonomously. You can see why these sentry or rapid response systems have become autonomous. Humans are far too slow in detecting in-coming attacks or targeting with enough accuracy. Many guns are now targeted automatically with sensors and systems way beyond the capabilities of any human. 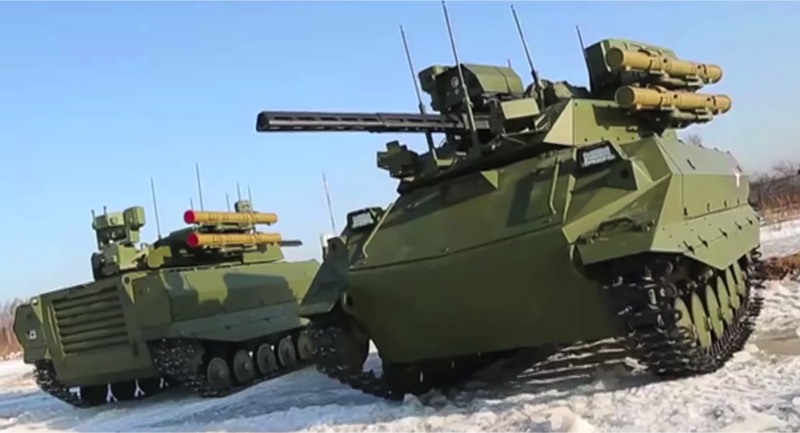 Uran-9, a Russian unmanned drone tank, gets to places autonomously and can be under human control or not. It’s hard to believe that the autonomous software for such vehicles has not been developed, as it has for self-driving cars. 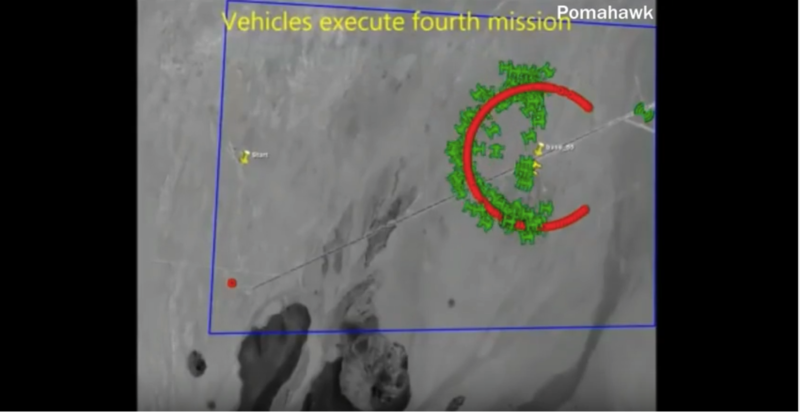 When such vehicles can set off and complete missions, it is hard to see how the risk of human casualties would be seen as an option. Lethal Autonomous Weapons can already operate on or beneath the sea. Naval mines (let’s call them autonomous robots) have been in operation for centuries. Unmanned submarines have been around for decades and have been used for purposes good and bad, for example, the deliver of drugs using autonomous GPS navigation, as well as finding aircraft that have downed in mid-ocean. In military terms, large submarines capable of travelling thousands of miles, sensor-rich, with payloads, are already in play. Russian drone submarines have already been detected, code-named Kanyon by the Pentagon, they are thought to have a range of up to 6,200 miles with speeds up to 56 knots. They can also deliver nucear payloads. 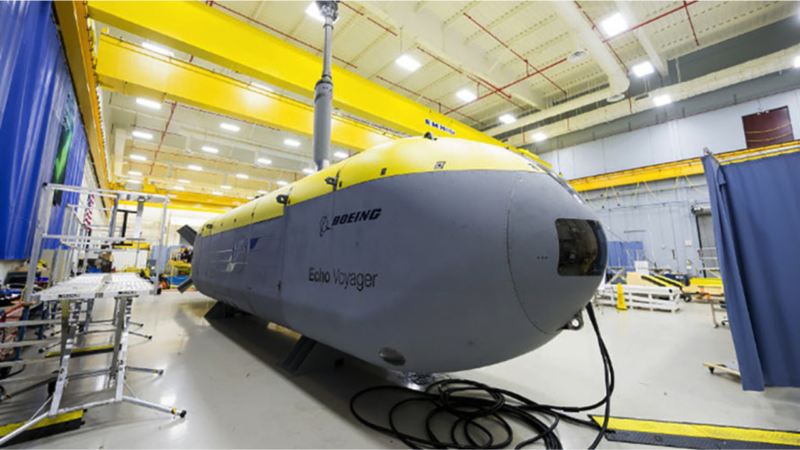 Boeing and many others have also been developng such unmanned subs. When you fly, the pilot of the 757 switches to autopilot at 1000 feet and you are then technically flying in a robot for the rest of the flight, albeit being supervised by the pilots – fuel consumption, weather and so on. They could have landed using autoland but most pilots still prefer to land the aircraft themselves. The bottom line is that software does most flying better than humans and will soon outclass them on all tasks. Flying is safe precisely because it is highly regulated and smart software is used to ensure safety. Drones are the most obvious example, largely controlled from the ground, often at huge distances, they are now AI-driven, operate from aircraft carriers, can defend themselves against other aircraft and deliver deadly missiles to selected targets. The days of the fighter plane may be numbered, as drones, free from the problem of seating and coping with a human pilot, is cheaper and can be produced in larger numbers. 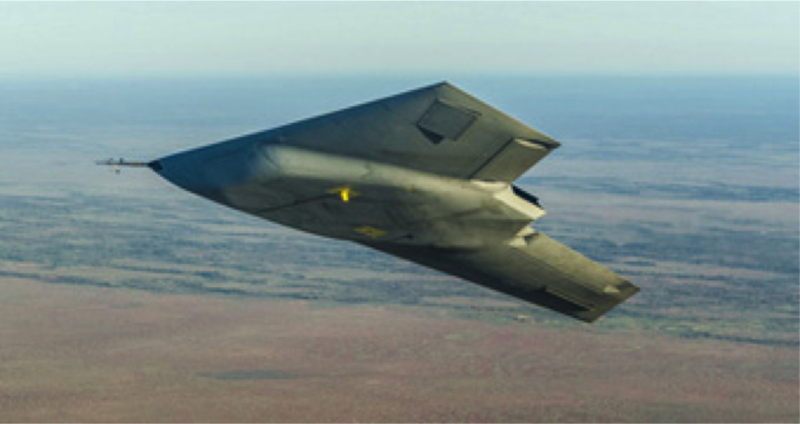 This is Taranis, named after the God of Thunder, an unmanned BAE drone that has been tested in Australia on autonomous missions. The tech that has been developed for self-driving cars can be used for autonomous vehicles on land and air. They spot the enemy, rather than friendly pedestrians. Worringly, there is evidence that Israle's HARAP system, which is actually an autonomous bomb that literally dive bombs radar installations and self-destructs, has already been used. 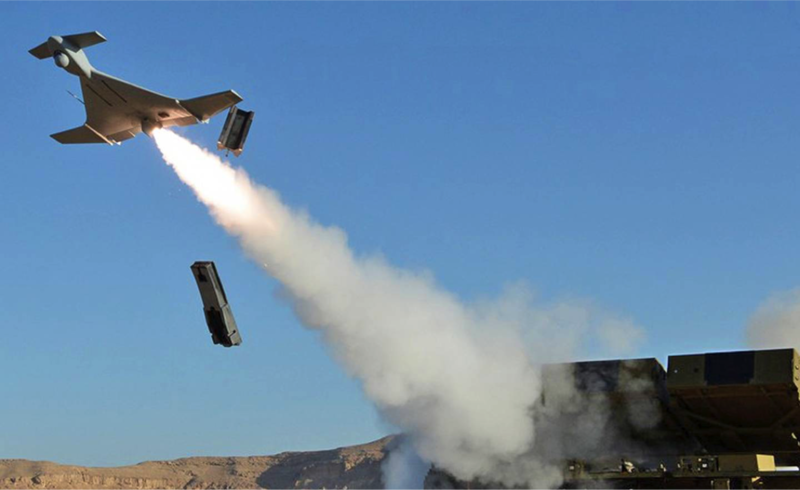 Swarm drones have already been tested by the US, to surround and overwhelm a target. Each drone acts independently but also as a group. A terrifying range of nanoweapons, mosquito-like robots and mini-nukes have entered the vocabulary. 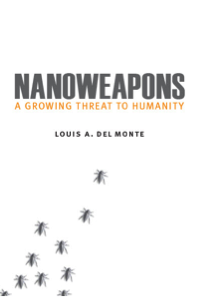 Nanoweapons: A Growing Threat to Humanity by Louis A. Del Monte is a terrifying account of how nanoweapons may change the whole nature of warfare, making other forms almost redundant. It is the miniaturisation of weaponry that also makes this more of a lethal threat. This world of small weaponry is worrying. Small payloads on small drones, with amazing manoeuvrability are already possible. Stuart Russell has already warned against this one aspect of AI in weaponry in evidence for the UN, which seems, at last, to be moving towards international regulation in the area, just like chemical weapons. War used to be fought on land, sea and air, with the services - army, navy and airforce – representing those three theatres of war. It is thought that a brand new front has opened up on the internet but this is not entirely true, as the information and communications war has always been the fourth front. The Persians did it, the Romans were masters of it and it has featured in all modern conflicts. Whenever a new form of communications technology is invented, from clay tablets, paper, printing, broadcast media and the internet, it has been used as a weapon of war. However, the internet offers a much wider, deeper and difficult arena, as it is global and encrypted. Russia, China, US are the major players, with autonomous bots and viral campaigns in action. China wages a war against freedom of expression within its own country with its infamous Great Firewall of China. Russia has banned LinkedIn and Putin has been explicit in seeing this as the new battlefield. The US is no different, with explicit lies about the surveillance of its own citizens. But it is the smaller state actors that have had real wins – ISIS, North Korea and others. With limited resources they see this theatre as somewhere they can compete and outwit the big boys. When you land at advanced airports, you walk through a gate that scans your passport. In a chip on your passport is an image of your face and face recognition software, along with other checks, identifies you as being able to enter the country. You needn't speak to any human on you entire trip. You will soon be able to walk through borders using a mobile phone only. Restricting the movement of criminals and terrorists is being achieved through the use of many types of AI. The war on terror is being fought using AI. It is AI that is identifying and taking down ISIS propaganda. What is required, is a determined effort to use AI to police AI. All robots may have to have black boxes, like aircraft, so that rogue behaviour can be forensically examined. AI may be our best defence against offensive (in both senses of the word) AI. A University, KAIST, the MIT of S Korea, has just backed down from doing military research with AI after a seriousl letter from some major AI researchers, with Global reputations, threatening a boycott. Google staff lambasted the CEO when they found that Goggle's Tensorflow was being used in wide range imaging from military drones. It is heartening that this is coming from within hte AI and tech community. There are already UN meetings with multilateral support to discuss and decide desirable international laws, such as those covering chemical weapons, landlines and laser blinding technology. The two main goals at the moment are 1) Target selection and 2) the application of violent force. But it's hard seeing this stick. The US, Russia and Chna have been lukewarm on further regulation, seeing existing laws as adequate. Some aspects of AI remain opaque. For example, the mosre siophisticated machine learning andneural netwrors become, the less we know about what is actually happening within AI. What is worrying, however, is that while many of the above examples are known, you can bet that this is merely the tip of a chilling iceberg, as most of these weapons and systems are being developed in deep secrecy. Musk and many others, especially the AI research and development community, are screaming out for regulation at an international level on this front. Our politicians seem ill-equipped to deal with these developments, so it is up to the AI community and those in the 'know' to press this home. This is an arms race that is far more dangerous than the nuclear race, where only large nations and humans have been in control and calls for a declaration of war on AI weaponry. We are facing a future where even small nations, rogue states and actors within states could get hold of this technology. That is a terrifying prospect. 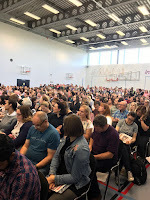 Way back I wrote a piece on awful INSET days and how inadequate they were on CPD, often promulgating half-baked myths and fads. Organisations don’t, these days, throw their customers out of the door for an entire day of training. The cost/load on parents in terms of childcare is significant. Kids lose about a week of schooling a year. There is no convincing research evidence that INSET days have any beneficial effects. Many are hotchpotches of non-empirical training. Many (not all) are ill-planned, dull and irrelevant. So here’s an alternative. ResearchED is a welcome antidote. 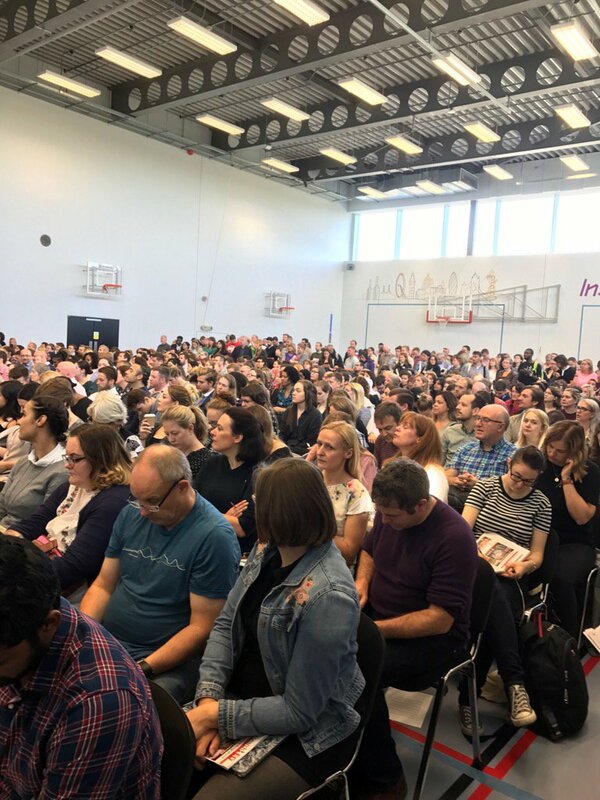 A thousand teachers rock up to spend their Saturday, with 100 speakers (none of whom are paid), to a school in the East End of London, to share their knowledge and experiences. What’s not to like? This is as grassroots as it gets. No gun to the head by the head, just folk who want to be there – most as keen as mustard. 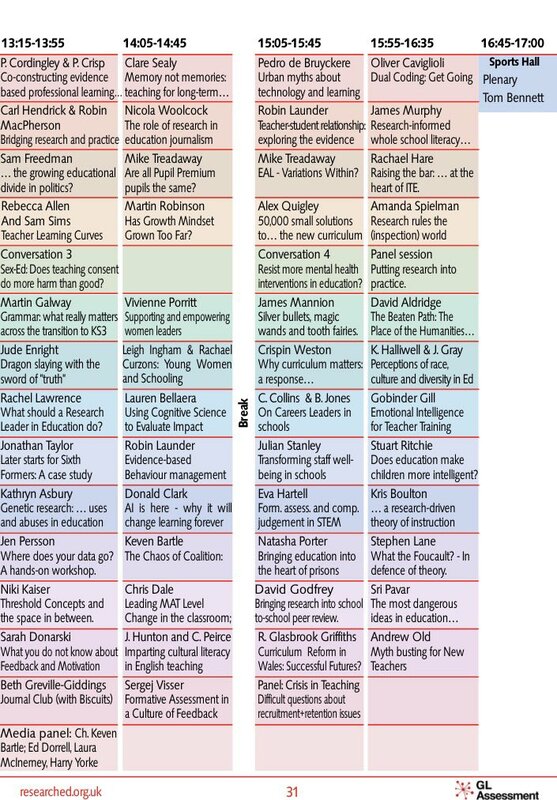 They get detailed talks and discussions on a massive range of topics but above all it tries to build on an evidence-based approach to teaching and learning. Judging from some on Twitter, conspiracy theories abound that Tom Bennett, its founder, is a bounder, in the pocket of…. well someone or another. Truth is that this event is run on a shoestring, and there’s no strings attached to what minimal sponsorship there is to host the event. It’s refreshingly free from the usual forced feel of quango-led events or large conferences or festivals of education. Set in a school, with pupils as volunteers, even a band playing soul numbers, it felt real. And Tom walks the floor – I’m sure, in the end, he talked to every single person that day. Tom invited me to speak about AI and technology, hardly a ‘trad’ topic. I did, to a full house, with standing room only. Why? Education may be a slow learner but young teachers are keen to learn about research, examples and what’s new. 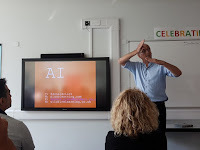 Pedro de Bruykere was there from Belgium to give an opposing view, with some solid research on the use of technology in education. It was all good. Nobody got precious. But most of the sessions were on nuts and bolts issues, such as behaviour, teaching practice and assessment. For example, Daisy Christodoulou gave a brilliant and detailed talk on assessment, first demolishing four distorting factors but also gave practical advice to teachers on alternatives. I can’t believe that any teacher would walk out of that talk without reflecting deeply on their own attitudes towards assessment and practice. What was interesting for me, was the lack of the usual ‘teachers always know best’ attitudes. You know, that defensive pose, that it’s all about practice and that theory and evidence don’t matter, which simply begs the question, what practice? People were there to learn, to see what’s new, not to be defensive. Even more important was Tom’s exhortation at the end to share – I have already done two podcasts on the experience, got several emails and Twitter was twittering away like fury. He asked that people go back to school – talk, write, blog… whatever… so that’s what I’ve done here. Give it a go – you will rarely learn more in a single day – isn’t that what this is all about?